Northern Jazz News: Want to Volunteer at MJF 2014? Want to Volunteer at MJF 2014? 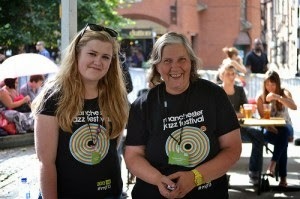 Manchester Jazz Festival are looking for volunteers to help run this years festival, 18-27 July. Interested parties can apply online using the Volunteer Application Form. You can also read one volunteer's account of her experience on the MJF Website.